Count down to when the moon’s shadow makes landfall on the West coast of the United States, and during the eclipse, the countdown clock dynamically updates to reveal which state the shadow is in and how long it will take to reach your location. Eclipse news and in-depth articles from Space.com, the leader in astronomy and space news. Find the best location to observe the eclipse. Select a location on the map to retrieve accurate eclipse event times for any location on Earth. Simulate the eclipse from your location or any location on the Earth. 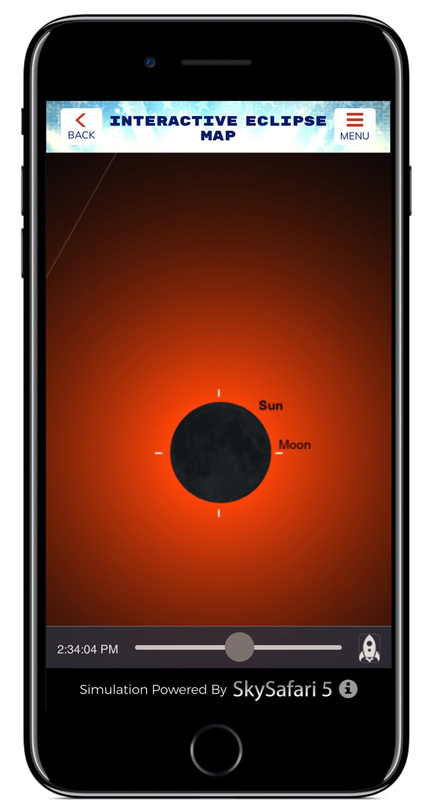 A time slider lets you manipulate time and simulate the eclipse from start to end, and enter Space View to watch the moon’s shadow travel across the face of the Earth. A comprehensive viewing and safety guide to the 2017 Total Solar Eclipse. Ensure a great eclipse experience. 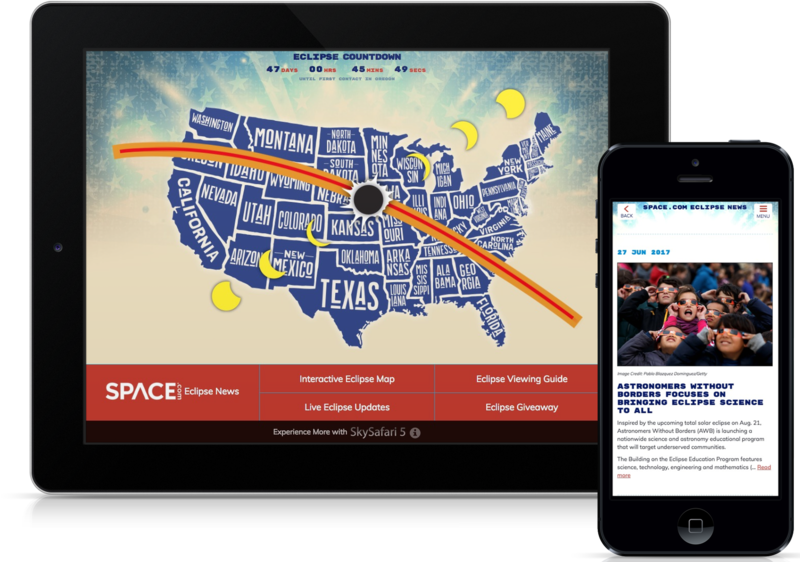 On eclipse day, watch a live stream of the eclipse as it happens, and receive breaking news on the eclipse from all over the internet. From the developers of market-leading applications SkySafari and Starry Night. Curious about other powerful astronomy products? Please visit our Online Store.